Please check your system, as requirements may have changed. Enable Microsoft® .NET Framework 3.5.1 on Windows 7, 8, and 10 (?). Free download for XP and Vista. .NET Framework 4 does not satisfy requirements. Is it possible to use Durametric version 6 for Posrsche PIWIS cable (20 usd)? i bought few months ago a PIWIS cable on the web. I tried it with durametric 3.0.15.0 and it works fine but with restrictions. I mean, the Chinese copy, if it works at all, will only allow you to use an early version of the Durametric software which is why it comes with the software on CD Rom. 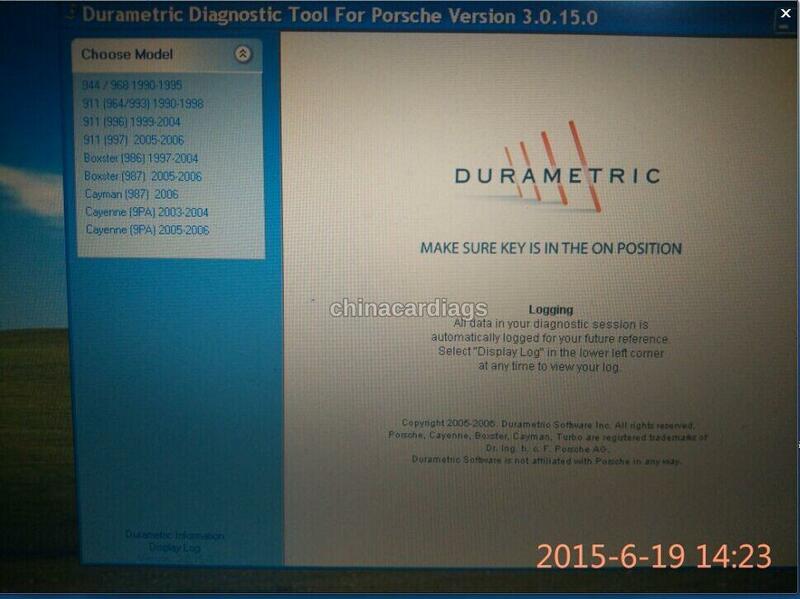 You cannot for example download version 6 from the Durametric website and use it with your copy cable. You can update some of the Durametric clone cables, but most of them are bricked if you go beyond around version 5.0.6 of the Durametric software. Others are bricked way before that. So as Clint would say “Do you feel lucky?” They usually come with V3.1 software, which is hopelessly out of date, and very limited on what you can do on a 9×7 onwards. OK-ish for 9x6s though. If you want something that will read and reset fault codes, and read live data, from all the control modules of everything from a 9×6 up to a 9×1, including Panameras and Cayennes, take a look at the iCarsoft i960 hand held scanner. About £100. It won’t reset service indicators, but is a useful tool for diagnostics, and resetting things like airbag lights. (No affiliation, by the way). Reads diagnostic trouble codes: confirmed! Clears diagnostic trouble codes: confirmed! Turns off check engine light: confirmed! Turns off airbag light: confirmed!